greatest care, starting with the material selection. Bamboo stems are imported from Japan where they are pre-selected. Only those meeting special criteria are shipped for musical purposes. At the time of delivery another selection takes place to ensure that the material is not only perfect from a musical point of view but that it's colour is also well matching. Another important phase is the treatment of the tubes' inner surface. These are covered by a special layer which, to a great extent, influences the resulting color tone of the instruments. The body of the bamboo tubes is placed in aprotective cover for easier tuning, which is made of various types of wooden plies. 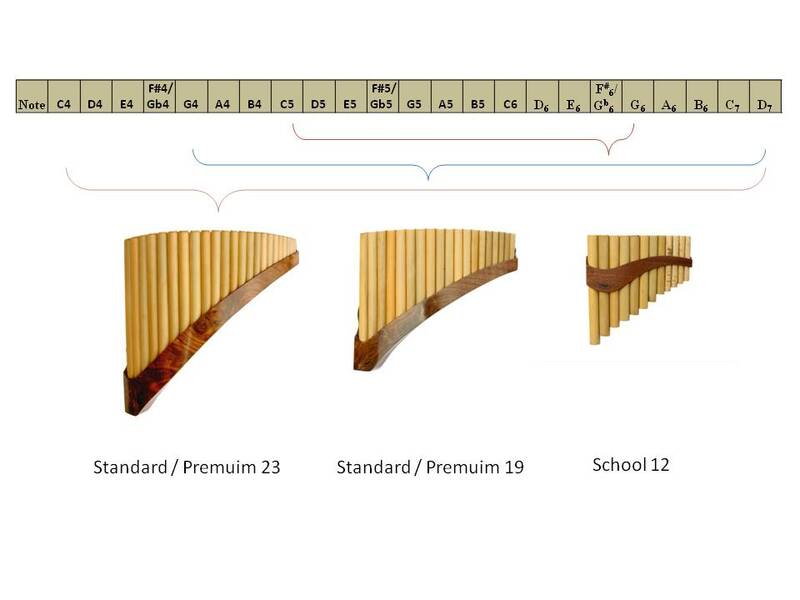 Madeira wood is used for STANDARD flute types, for PROFESSIONAL instruments Canadian Oak root has been chosen for its magnificent natural wood structure. Final treatment is necessary for under scoring the overall impression. For the PROFESSIONAL class of flutes we use the natural Tung oil as many other professional musical instruments makers. It is important for any musical instrument that it can be easily and accurately tuned. Therefore, PANEX has developed a very simple and fast system of tuning. By simply taking off the protective cover and moving rubber corks, you can easily tune to another key or just to fine-tune the instrument. This system ensures very accurate and very easy tuning. The corks are made of synthetic rubber which is saliva-resistant and well-adhering to the tube walls. The tone is clear, without any false resonance. On customer's request, however, we can produce an instrument in any key.